William Butler Yeats (1865-1939) was one of Ireland’s best known and best-loved poets. One of the great advantages to living here in the mid-west of Ireland is that on the 255 mile, 6 hour-long trips back home to Donegal, the county of my childhood, I have to pass through Drumcliffe, in County Sligo. Drumcliffe is the burial place of W.B .Yeats, and a mandatory coffee stop here down the years has now become a family tradition and marks our ‘arrival’ in the north-west. 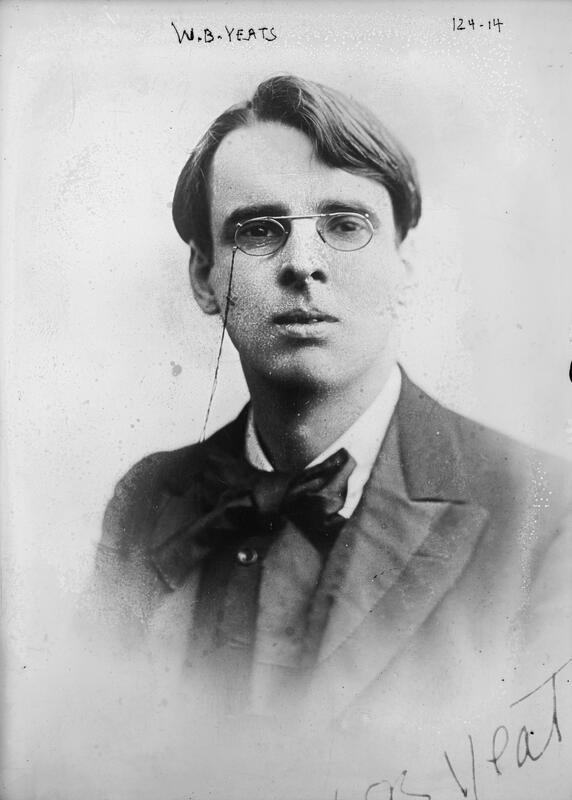 Yeats was born in Dublin in 1865 but spent much of his childhood in Sligo. He loved the old celtic stories of Ireland and even though born into a Protestant family of Anglo Irish origin he became something of nationalist,advocating the use of the Irish language. In 1899 he co-founded the Abbey Theatre in Dublin. His love for Maud Gonne, an English-born Irish revolutionary, is legendary, having proposed to her and been refused 5 times in all. In 1917, he married an English girl, half his age. Her name was Georgie Hyde-Lees, whom he called George. They had a good marriage in spite of the age difference. In 1922 he became a Senator serving two terms and in 1923 he became the first Irish winner of the Nobel Prize for Literature. He died in 1939 in Roquebrune-Cap-Martin, France . In 1948, his remains were brought home to Ireland by the Irish Naval Service and re-interred in Drumcliffe. Ben Bulben is a magnificent mountain that dominates the landscape in this area for miles around. 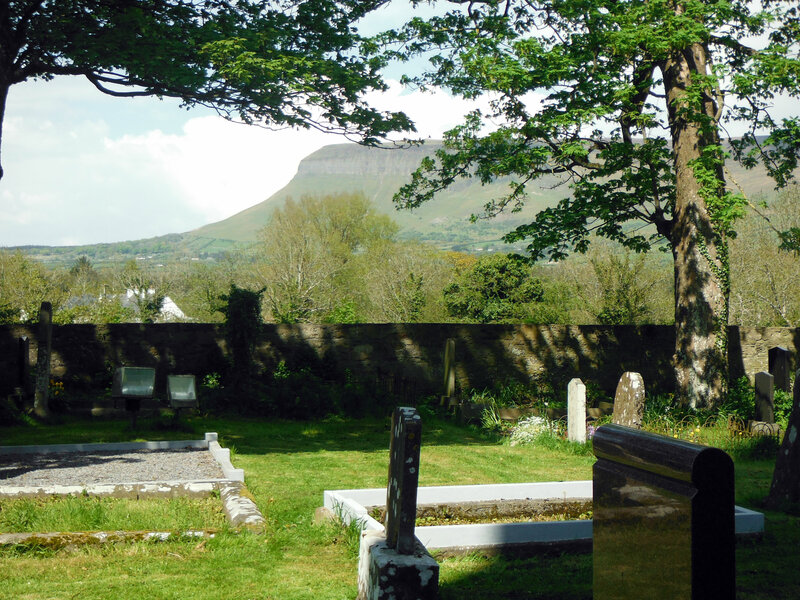 The beautiful St Columba’s Church in Drumcliffe lies beneath it, as can be seen in this photo taken from his grave with Ben Bulbin in the background. 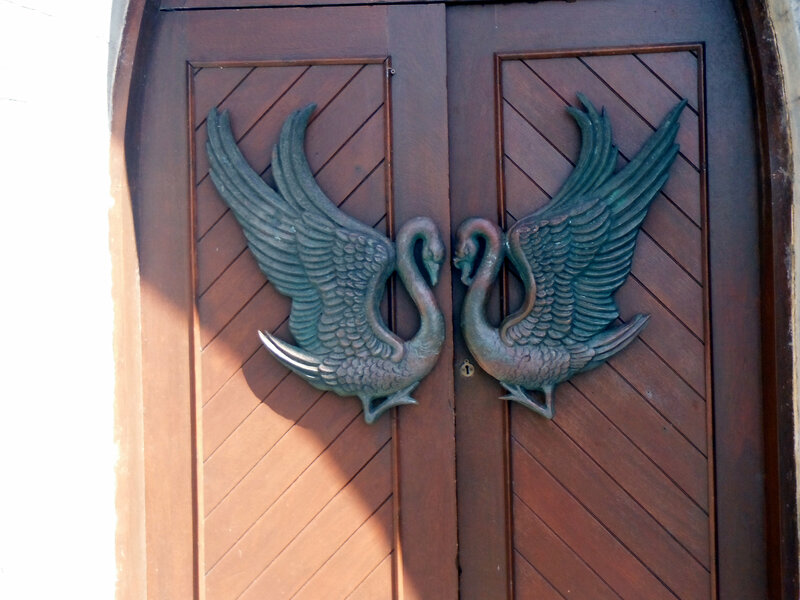 Swans on the doors of the church – I pulled them closed for a moment just to get a picture! 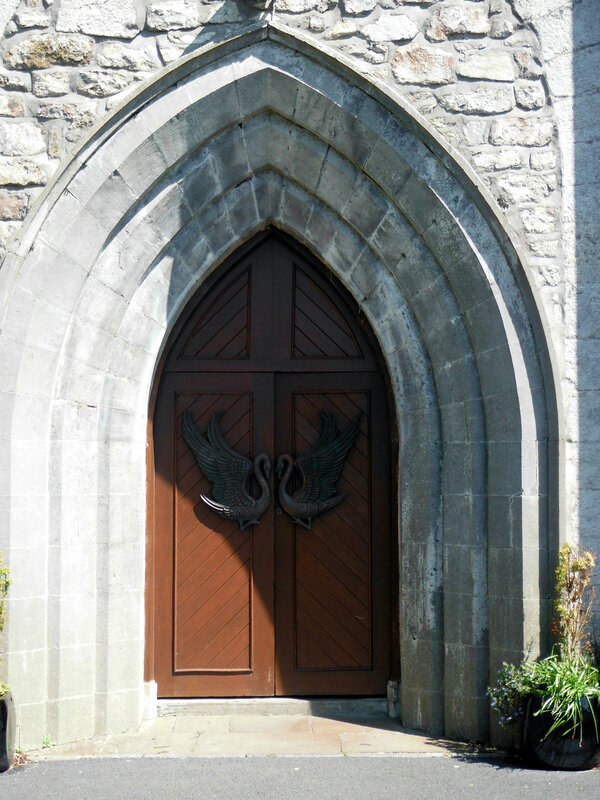 I know that somewhere I have more details on these doors, but cannot find it at the moment. The Wild Swans at Coole? 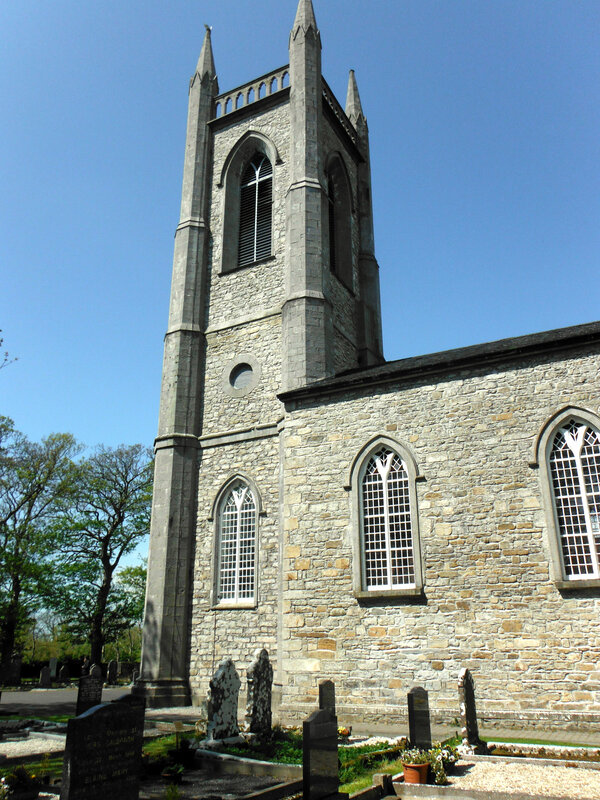 Drumcliffe is a lovely place – great coffee shop, a wonderful high cross and remains of an ancient round tower. If you drop by here, I can guarantee that it will instil at the very least a curiosity about our most wonderful poet. 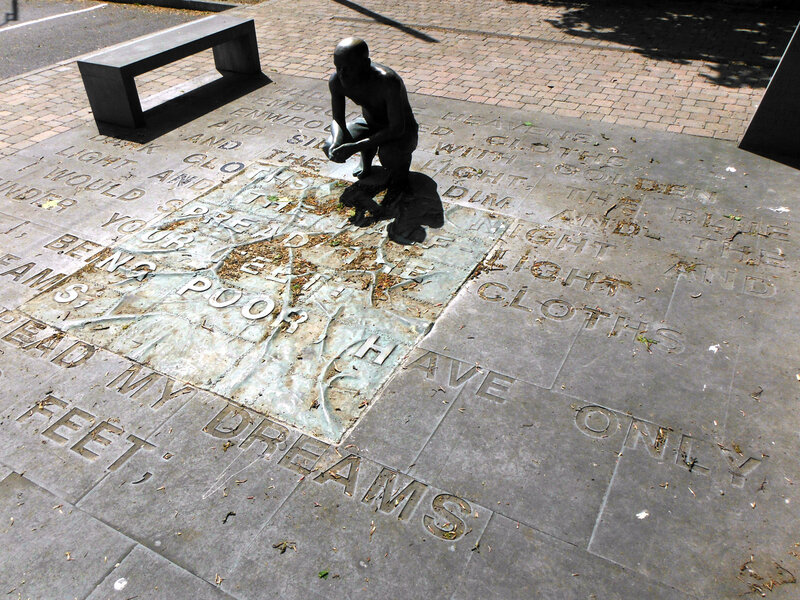 W.B Yeats.Poet, Essayist, Politician, Irishman . Image Wikimedia Commons. W.B. 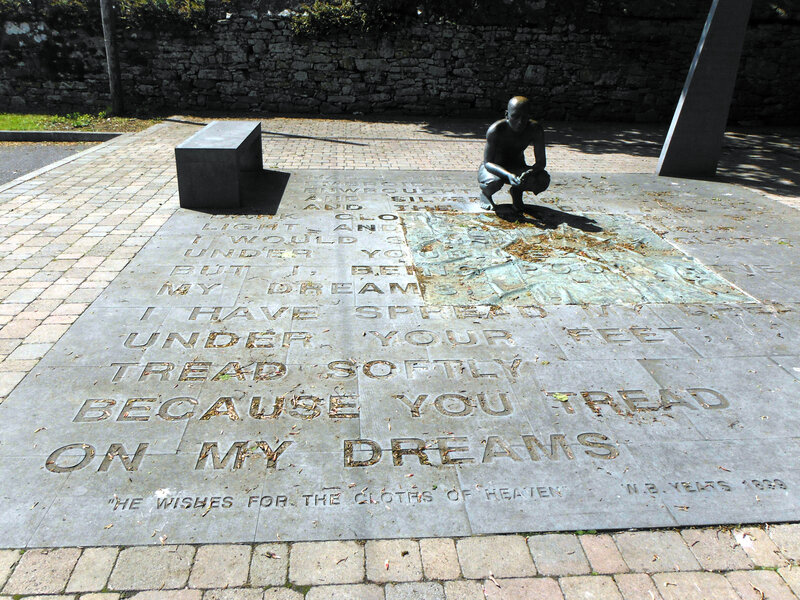 Yeats – a magnificent part of our Heritage! Glad to hear that you like his work!.You are going to have to stay for a month at least ! Thanks for your comment! 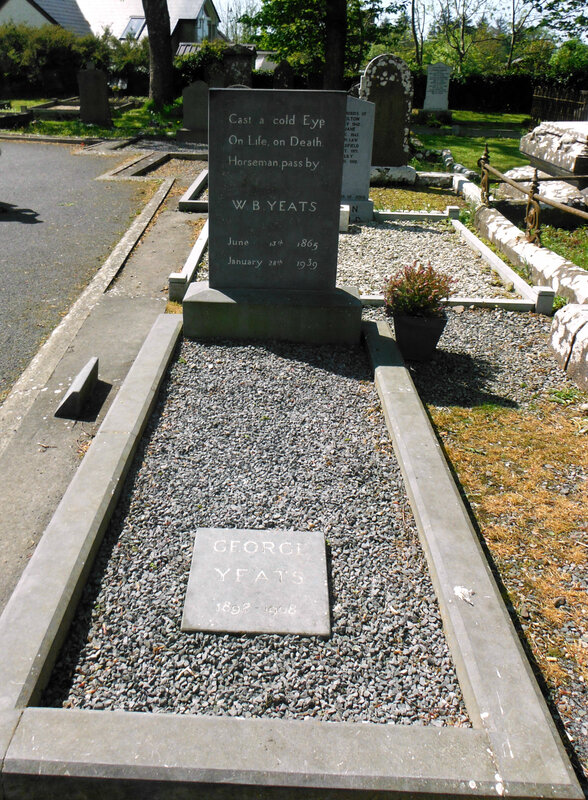 My sister and I visited Yeats grave on our way from Clare to Bellaghy, Northern Ireland. = in 1979 from America. We just happen by accident on this site. What a wonderful accident! What marvellous serendipity! It is a beautiful spot, with its round tower and high cross as well. It has been developed somewhat since your visit, but has not been spoiled in any way. I hope you get to come back soon! Thank you for visiting my blog . You would love Ben Bulbin too – such a beautifully scenic area. I have never read the Fairy & Folktales of the Irish Peasantry.Must get a copy. I was reared on ‘Up the airy mountain, down the rushy glen, we daren’t go a -hunting for fear of little men’ The original Leprechauns?’ And as for banshees…!!! Thank you for dropping by . Oh SV, I just adore this post. Yeats’ poetry, especially his love poetry, flows through my veins and I share his passion for swans. Thanks for bringing such a great piece of writing to me on this Monday morning when I least expected it! Yes his swans – oh what a wonderful poem that is about the ones at Coole! On Mulroy Bay, near my childhood home there were hundreds of swans. My father used call them The Children of Lir and it was a real treat when he piled us into the car to go to see them! Yeats was a marvellous poet! “Education is not the filling of a pail, but the lighting of a fire” (WBYeats). Thank you so much – had not heard that quote before so thank you too for that ! As my Irish friends tell me nothing happens by accident…it was meant to be. Oh, Angela… the moment I read this post I “liked” it… but then was kept awake with unsettled feelings and trying to remember what it was that I’d forgotten. Then finally it came to me as I re-visited the treasure hanging on my lounge room wall. Now I’m having a little cry again on reading the words of William Butler Yeats (1886) so carefully reproduced, on green cardboard, by my youngest child as a Mother’s Day gift for 1998. At the time he was an impoverished University Student, whose final Doctoral Thesis was dedicated to my Susan Kelleher (his 3x Irish Great Grandmother). The Yeats poem he so lovingly transcribed is “The Stolen Child” and here is the verse which lives within my heart. Very lovely tribute, and looks to be a wonderful place. I feel I mut have have been there, as a child at least, we generally went to WEst Cork on holidays but certainly went to Sligo a couple of times. Either way, I can’t remember the place. Anyway, clearly time for a fresh visit! Thanks for a very good post, and for reminders of those terrific poems. -Arran. It is well worth a visit for sure. Sligo in general is lovely of course! The poetry is fabulous- come back soon and thank you for your comment!